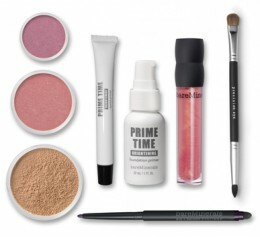 Although the products are altogether worth £127.90, this selection of goodies from their Bright and Beautiful range are being offered at a mere £35.10. BareMinerals are known for selling good quality, long-lasting products that not only look great on, but give light coverage. I've been wanting to try out their products for a while just to give my skin a break from slightly heavier foundation, but could never justify the fairly hefty price tag. On top of this, use discount code bm20brightset at the checkout to make the total £27.99.